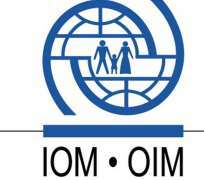 GENEVA, Switzerland, September 13, 2013/African Press Organization (APO)/ -- IOM has received US$ 2.5 million from the United Kingdom and the Netherlands to strengthen the technical and human resource management capacity of Somali migration agencies. IOM will use the funds to improve the border management capacity of the Federal Government of Somalia and the Puntland authorities to help them to better manage migration to and through Somalia, and to improve technical data collection. “In supporting this project, the British government aspires to further strengthen cooperation with Somalia in the field of migration,” said British Ambassador to Somalia Neil Wigan. The Netherland's deputy ambassador to Somalia, Alain Ancion, said his country was supporting the project so that Somalia could improve its security and stability. The project will also support development of standardized operating procedures and the harmonization of existing institutions and legislation, which is important for promoting safe and orderly movement of people. This will eventually help generate revenue by applying best practices to visa operations and regulating passage through Somali air and sea borders. The project was developed at the request of the Somali immigration authorities. IOM has worked closely with them implementing immigration and border management projects since 2007. IOM's Capacity Building for Migration Management programme in Somalia is funded by the governments of the United Kingdom, the Netherlands, USA, Finland, Japan and others.